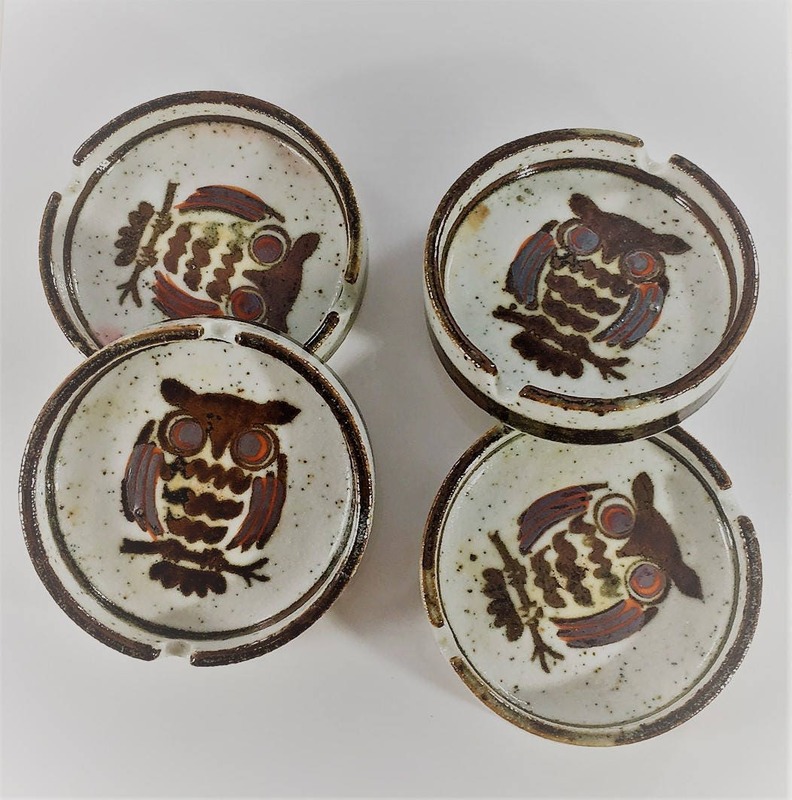 Featured here is a nice set of four vintage owl ashtrays. 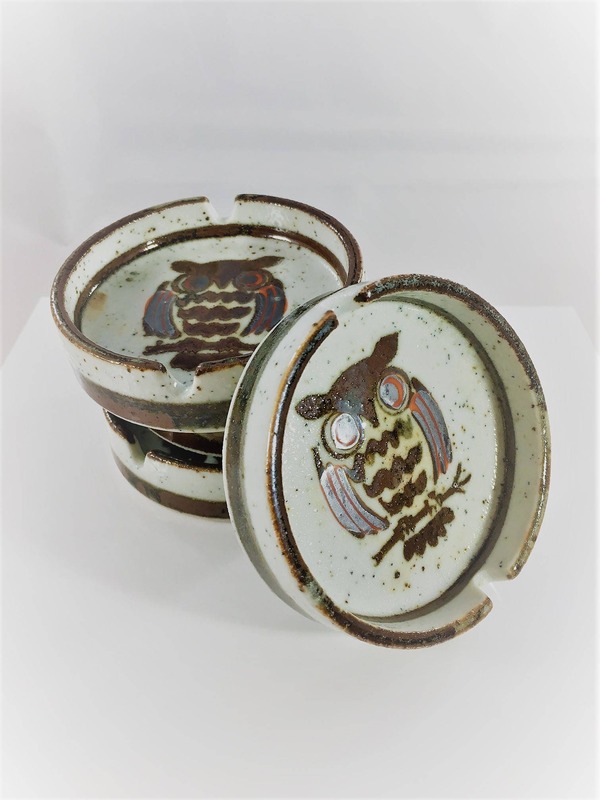 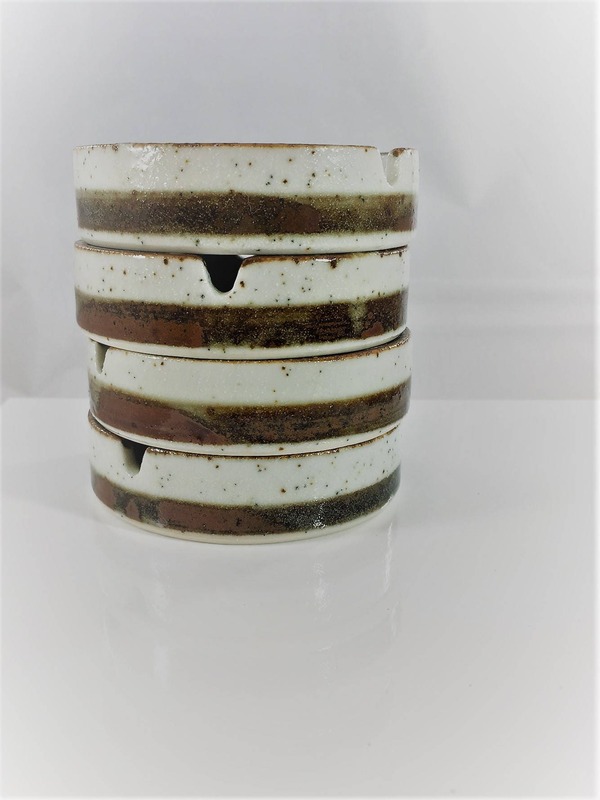 Likely Otagiri OMC originals and handmade vintage Japanese stoneware. 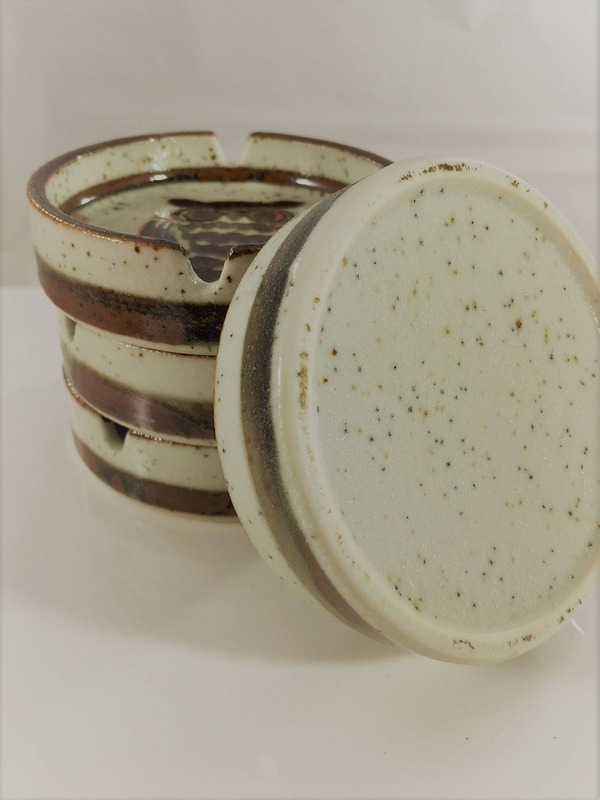 Classic color combination of speckled grey, Tenmoku brown, and orange. 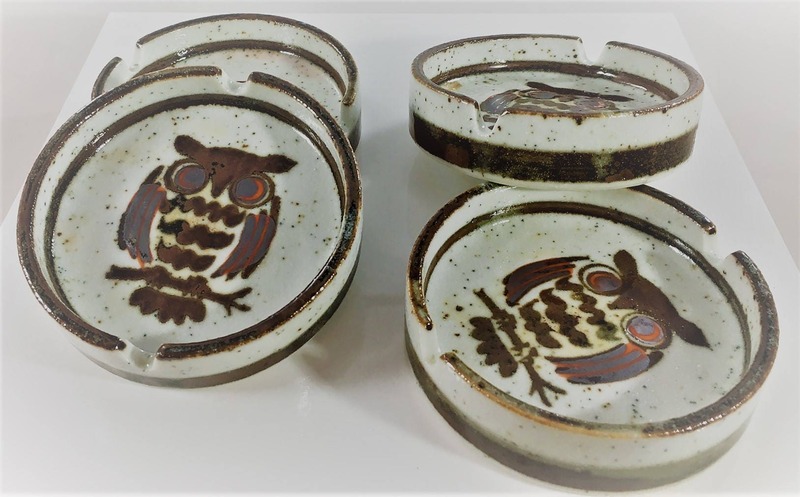 Lovely brushwork owl motif. 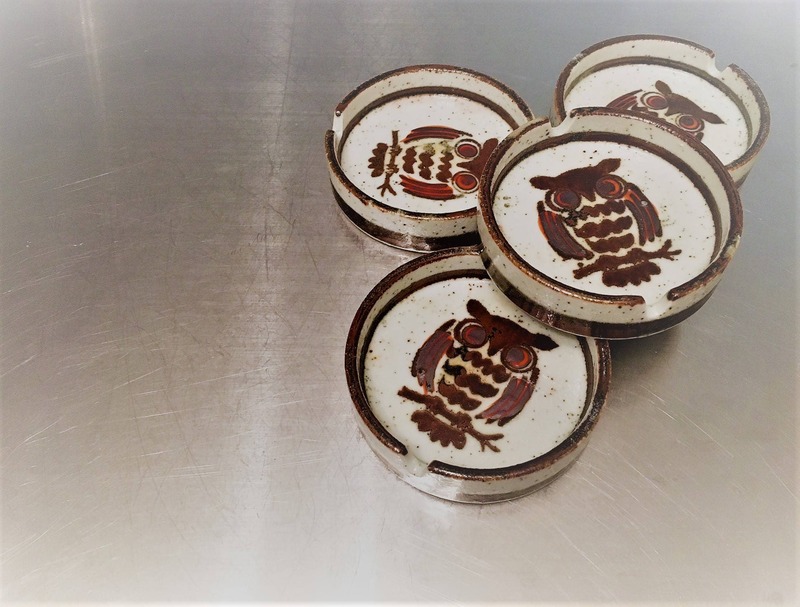 Each is about 3 1/2 inches in diameter and just under 1 inch deep.